Over the years there have been a number of issues when plotting Civil 3D sheets directly to PDF. In the past, some of these issues included problems with fonts not showing up correctly, scale issues, certain objects not plotting, and incorrect masking colors among other issues. There was usually some weird way to fix each issue, but it was never obvious. For instance, occasionally lowering the resolution of the output PDF would fix the non-plotting objects issue. Of course, this compromises the sharp clarity of the PDF, but it at least plotted everything. However, this wasn’t always the fix in all circumstances from my experience. Sometimes it was the optimization settings for the PDF which caused issues. Sometimes it was a matter of which PDF driver was being used. In short, there were a number of reasons why plotting straight from Civil 3D to PDF was a problem. I still see font embedding problems when working with clients. I’m writing this because there is a good solution to this which works every time. If you plot your sheets to DWF (Design Web Format) from Civil 3D, you can plot from the DWF to PDF and you will never have any problems. DWF is an Autodesk file format which can itself be sent to clients and viewed or plotted from the Design Review viewer software which is free from Autodesk. 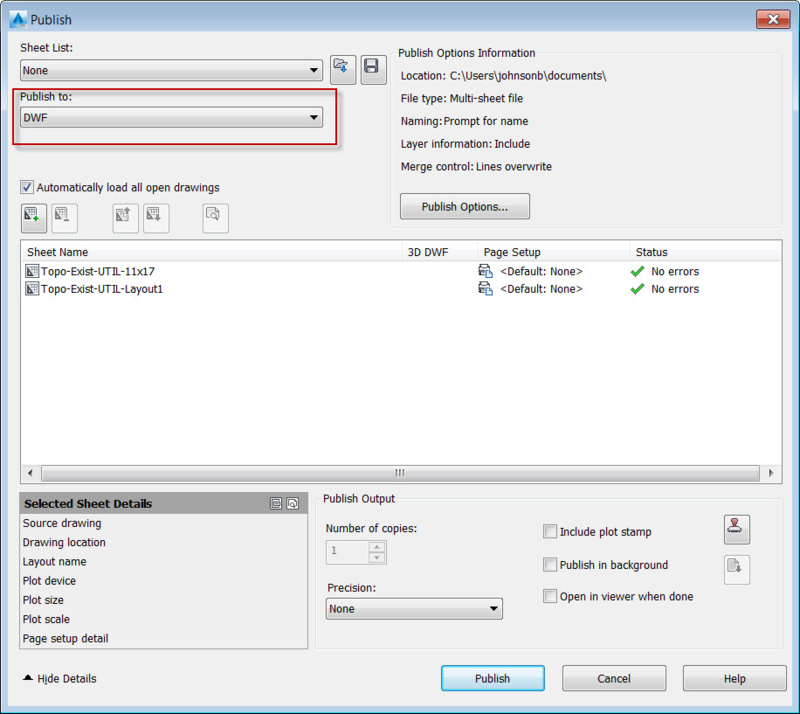 DWF is a highly compressed file type, and is easy to send over email. 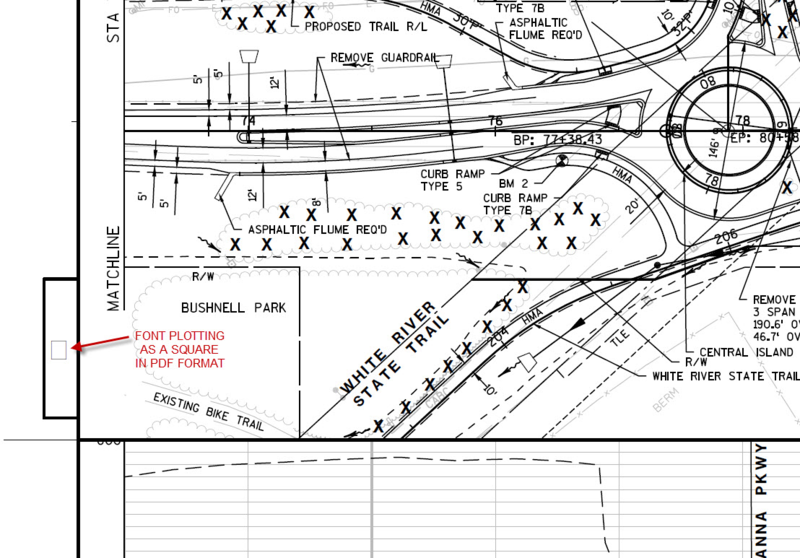 Plotting to PDF from DWF is much quicker than plotting to PDF from Civil 3D. Clients using Design Review to view the DWF can take accurate measurements from the sheets and also create mark-ups and redlines within the document. Those mark-ups and redlines can be reintroduced to the original design file or edited in other Autodesk products such as Revit. DWF can plot to any printer and the plots are scalable. Plotting to DWF is certainly something to consider the next time your PDF driver gives you a hard time in Civil 3D. Contact us if you would like to know more on how we can help you with plotting solutions at your company.